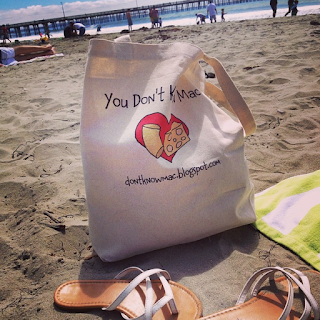 You Don't Know Mac: Happy 1st Birthday & Tote Bag Giveaway! Happy 1st Birthday & Tote Bag Giveaway! Just about a year ago, on June 9, 2014, I posted my blog entry here, and so You Don't Know Mac was born! So... Happy First Birthday, You Don't Know Mac! It's been super fun exploring new mac and cheese recipes and restaurant offerings and it's been even more fun to share my explorations with all of you readers! 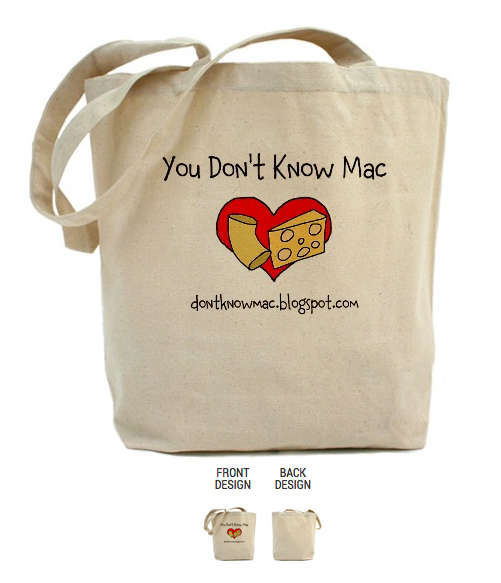 To celebrate, I'm giving away a large You Don't Know Mac tote bag, just like the stylish one pictured here. It works great for groceries, a random walk to the local mac and cheese restaurant, or even the beach! How do you win this awesome tote bag you ask? Well, it's super simple! Between now and through June 8, Instagram a photo of yourself with a mac and cheese dish you enjoy (or just the mac and cheese dish is fine), and tag @dontknowmac in your photo post. You must tag @dontknowmac to enter, or I might not see it. On June 9, I'll reveal the winner here in a new blog post and on Instagram. The more Instagram photo posts you have, the more entries you have into the lottery! Happy photo taking and Happy Birthday, You Don't Know Mac! Don't follow You Don't Know Mac on Instagram? Well, now you should start! Fit Tip of the Day: How Many Minutes?